Gardens aren't just for birds! 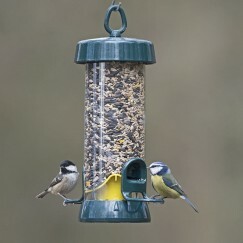 We have a great range of habitats, food and accessories for all sorts of garden critters. Bees, bugs, hedgehogs, bats and more, you'll find something to satisfy all of them here at Ivel Valley. We also supply the finest quality dried mealworms perfect for all kinds of garden wildlife, including the birds, of course! And for those with ponds, boats, or easy access to local lakes we supply an outstanding Duck & Swan Food that comes highly recommended from our customers.